Alla Nazimova Society » Alla Nazimova and unidentified person outside the Hayvenhurst house. 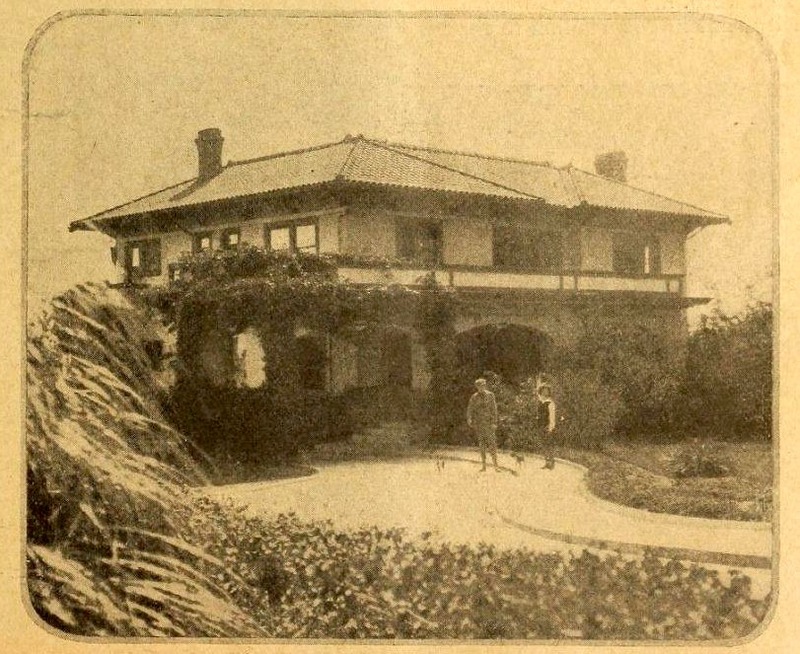 The Havenhurst house on Sunset Boulevard would later become the Garden of Allah Hotel. 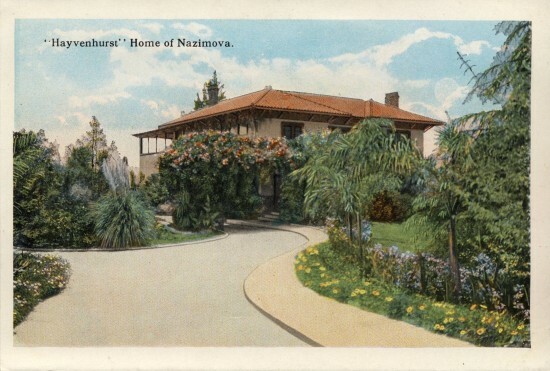 Below is a later, professionally produced picture postcard. The sepia photo was probably taken for a movie magazine. 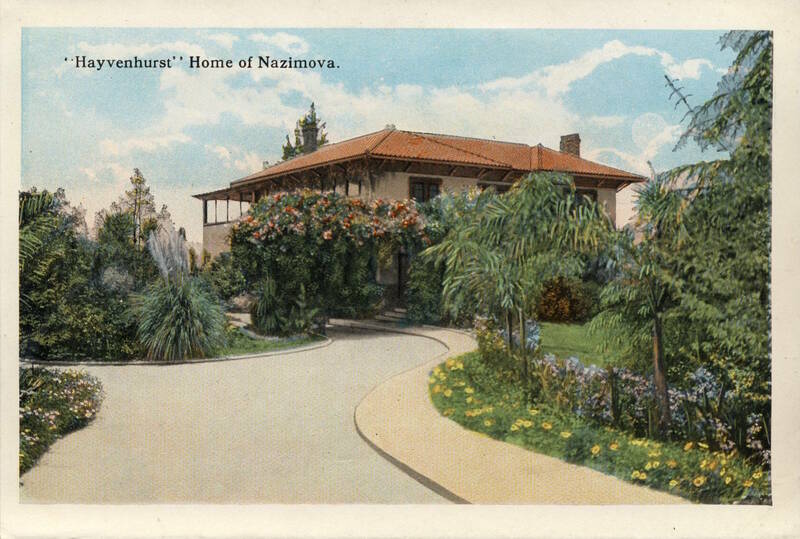 The colorized postcard photo was likely taken earlier — notice the gallery porch on the second floor that has been removed in the sepia photo. There’s no link to the next page, after this one.